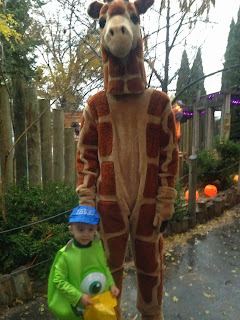 Last year we went to "Boo at the Zoo" and loved it, so we decided to go again this year. Jason was in class every night of the week, so we really wanted to go at a time when he could go. On Monday night he had a break between classes and that was the only time we would have enough time to go together. The week before Halloween we had BEAUTIFUL weather - the week of Halloween was awful. The Monday night we were going to "Boo at the Zoo" was rainy and cold. We decided to brave it anyways since the next few nights were supposed to be just as bad and Jason wouldn't be able to go. We bundled everyone up, grabbed some umbrellas, and went for it. Carly came with us and it was a huge help. We had someone else to help keep the kiddos dry and warm. 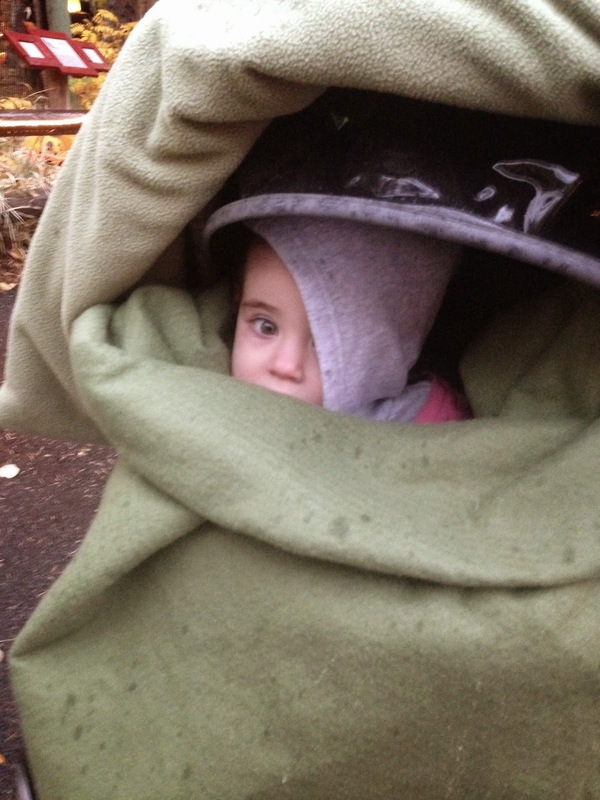 Brooklyn stayed wrapped up in her stroller, covered in blankets and seemed quite cozy. 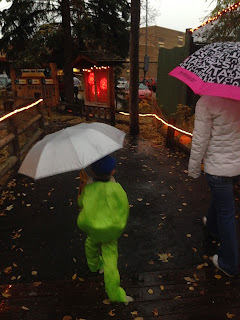 Carson trudged along in the rain and had a blast, despite the cold. 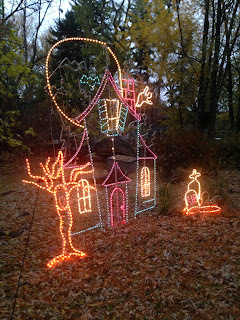 He loved all of the lights and especially loved the Giraffe that followed us around. After "Boo at the Zoo" he started putting his slippers on his hands and pretending to be the giraffe at home. We had lots of fun, but by the time we were done we were all freezing. 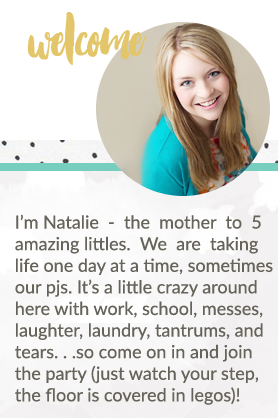 We came home and I put the kids in a nice warm bath and we all had a cup of hot chocolate. "Boo at the Zoo" is going to be a tradition we continue as long as we live in Idaho Falls.